The Spectre HPR8475 fits some Acura CL, Acura TL, Honda Accord, and Honda Accord VII models. See vehicle applications for details. 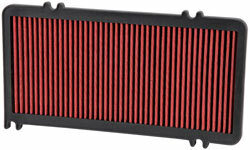 I purchased this filter for my 1999 Honda Accord EX V6. I was very impressed by the increase in mpg on the highway but not so much in the city which is to be expected. Overall I love it though!